We’d love your help. 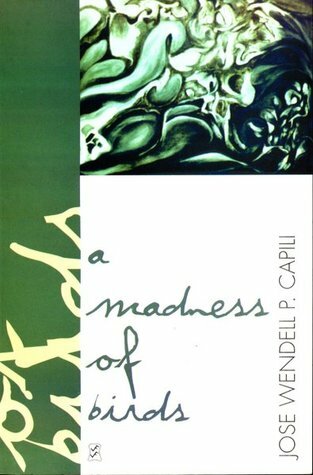 Let us know what’s wrong with this preview of A Madness of Birds by Jose Wendell P. Capili. To ask other readers questions about A Madness of Birds, please sign up. Splattered across its pages are colors such as ceruleans to auburns, and images of falling leaves, cascading water, and stout temple pillars. And spinning in between these are individual’s memories attached to nature’s multifaceted character—from seeing migratory birds returning to their proverbial places to moments illustrating one’s love for his hometown are some of the pieces found in this collection of poems. The book discusses several responsive aspects that are connected to an individual’s Splattered across its pages are colors such as ceruleans to auburns, and images of falling leaves, cascading water, and stout temple pillars. And spinning in between these are individual’s memories attached to nature’s multifaceted character—from seeing migratory birds returning to their proverbial places to moments illustrating one’s love for his hometown are some of the pieces found in this collection of poems. The book discusses several responsive aspects that are connected to an individual’s perception, and eventually, one’s view of the world. In this work, a nostalgic sentiment ensues when a person arrives reminisces about locating one’s roots and recognizing their affinity with nature. However, projecting a semblance of nostalgia for one’s home is one of the subjects that are visible in the collection, as the author expresses snippets of affection, solitude, and ruminations. Illustrating these moments of seclusion lead one to wander and stumble into new areas, to clear a site where an individual may contemplate about a range of thoughts.